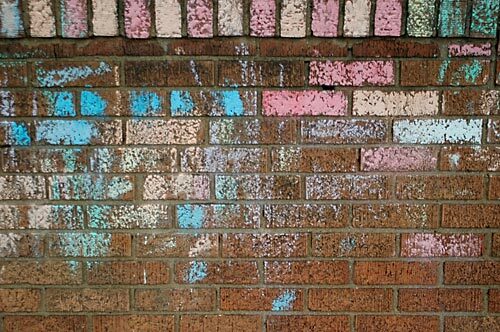 Ben and his darling friend Maria applied sidewalk chalk to the back of our house. Usually we discourage our kids and their friends from defacing our property, but this time they were just too cute to stop. The Ryerson Library in downtown Grand Rapids. 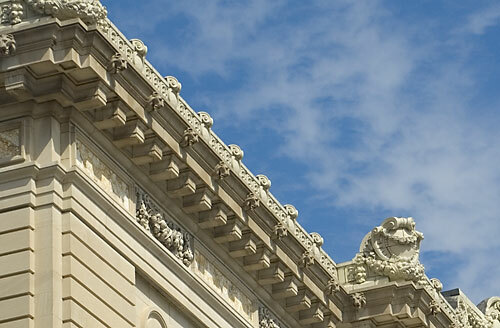 The building went through a major renovation a couple years ago. 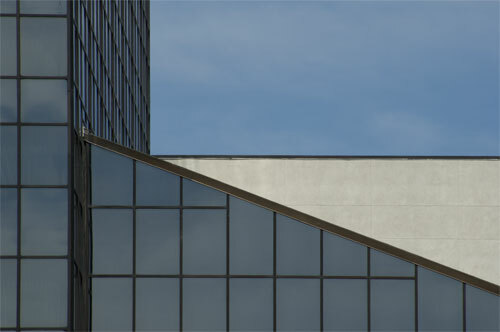 A geometric shot of the Amway Grand Hotel in downtown Grand Rapids. 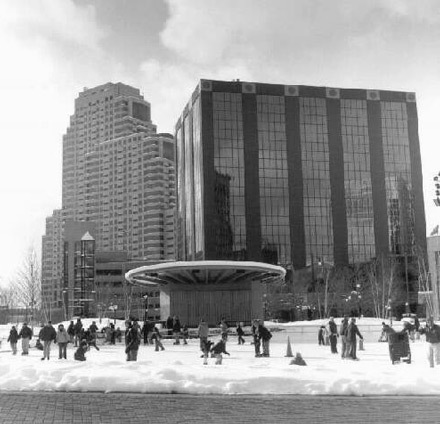 Ice skaters come from all over for the free skating in downtown Grand Rapids. Skate rentals are $1. I shot this photo with my 1950s twin-lens-reflex, medium-format Rolleiflex. 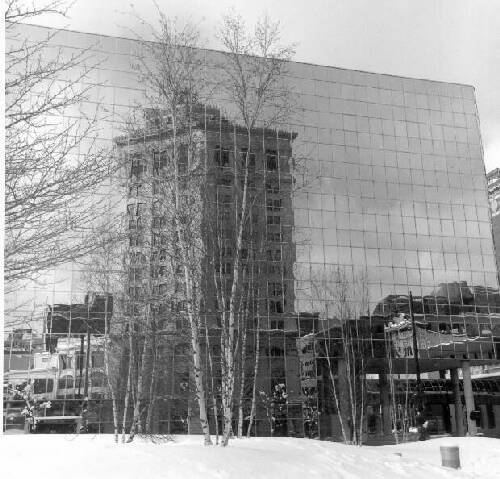 This building–on Monroe Ave. in downtown Grand Rapids–has been photographed so many times by beginning photography students that it’s a bit of a cliche. Still, I can’t help liking the way it looks. 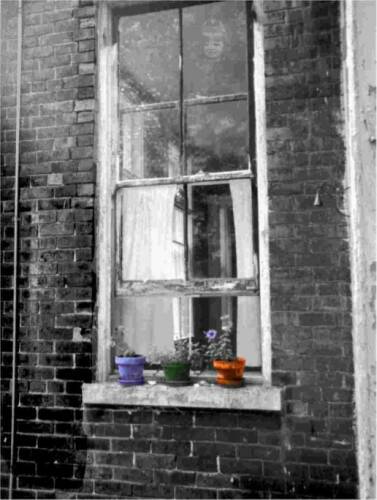 A window, pre-renovation, of a house in Cincinnati. It also represents one of my very first attempts to use Photoshop. Hence the floating portrait of Ric’s daughter and the colored flower pots. 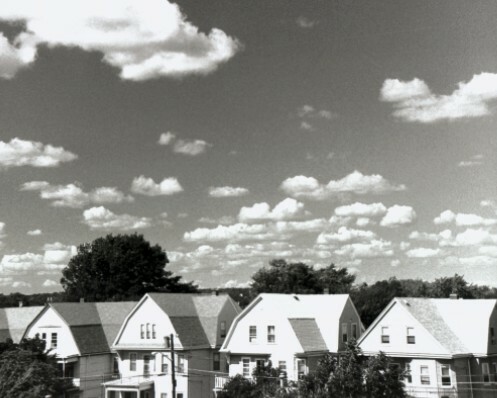 Houses in Somerville, Massachusetts. Somehow it reminds me of Pleasantville. Or the Simpsons. It’s something about the clouds, I guess. 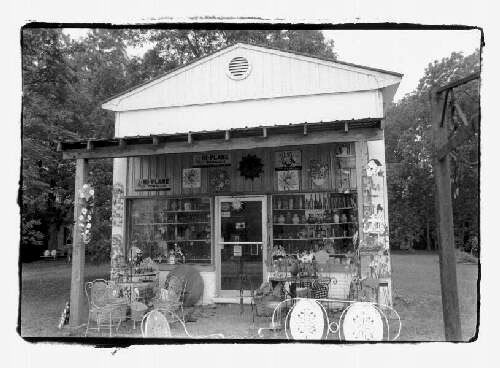 Some people might call it a junk shop, but I call it an antique shop. Located in rural Georgia. 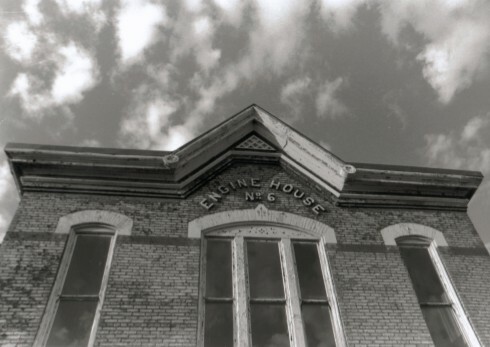 An old Engine House in Grand Rapids, MI. 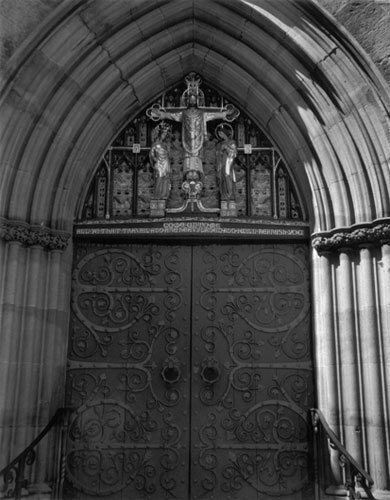 I think it’s on Grandville Ave.
Church door in Philadelphia, PA. I can’t remember the name of the church, but it’s on Broad Street, south of City Hall.